Trying something different for Day 6 – No backing track this time around. Played live, mistakes and all! We’re going to call this one “Do-Bop” Christmas. Only a few bars of the tune but a fun one to play when someone stops by the house as they don’t expect to hear the vocal effects. Enjoy! Fully understand Gary I’ve been waiting for someone to make that comment. Figured we better put a couple of videos up showing actually playing the instrument. Today’s (Day 7) is also all live. Gotta say I was just about ready to record Day 8 which might be another backing track… 🙁 Hopefully you still watch anyway? I was considering putting some of those files up on the site for folks to download and give them a try. Any interest or is everyone non-backing track fans? 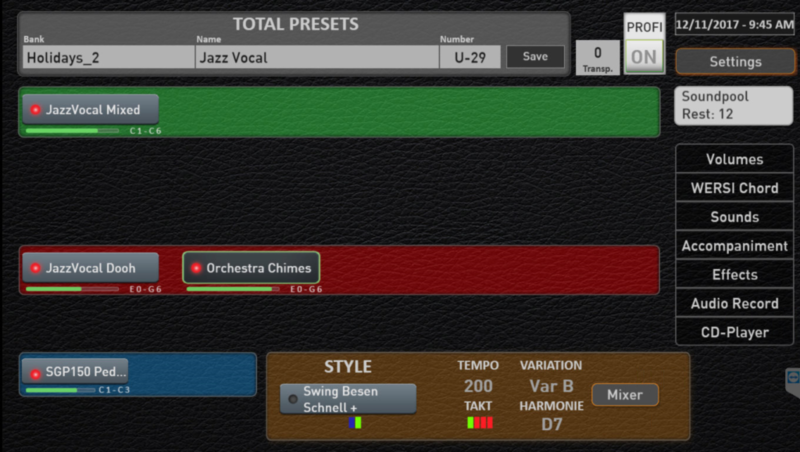 Sure – Added a screenshot above showing that preset. Give it a try!